I will be at Anaheim stadium tonight, may see you there? 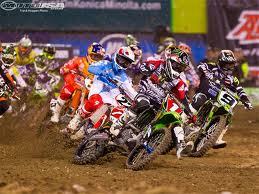 I shall be off to the Supercross tonight at Anaheim Stadium, hope to see some of you there as its a great race and as its the start of the season, anything can happen. I generally make a day of it, checking out the bikes and hanging in the pits etc and the build up to the race is always great. I dig all motorcycles and love off road bikes, I have a 250 CRX myself. 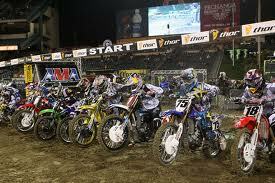 If ya can make it to the Angels Stadium for the monster energy drink races tonight, you will have fun. Should be a big crowd and always a fun atmosphere too. I shall be there for sure, so come and say howdy if you see me.